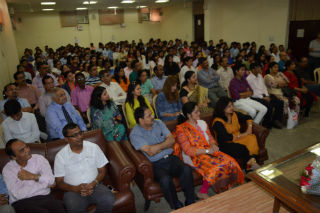 JIMS family warmly welcomed the new students - the batch of PGDM (2017-19) on July 3, 2017 in the College Auditorium which was packed with enthusiastic fresher-students, parents, faculty and staff members. 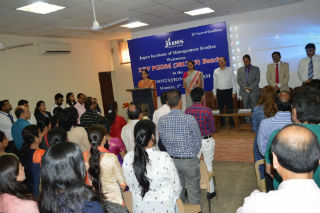 The orientation session began with a floral tribute to Late Sh. Jagannath Gupta, followed by Saraswati Vandana to invoke Goddess Saraswati, the bestower of knowledge. 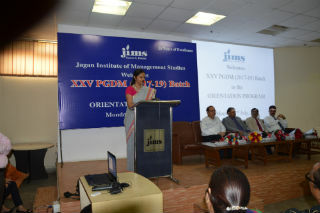 Thereafter, Dean, PGDM - Dr. Pratima Daipuria; Dean, Infotech - Dr. V.B Aggarwal; Dean, Placements - Dr. Ashok Bhagat and Dean, Examinations - Dr. Goswami addressed the students sequentially by sharing their personal experiences, a broad view of the corporate world and suggestions. 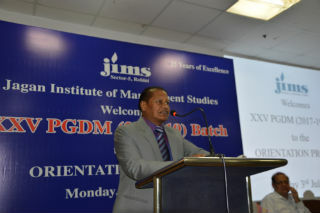 A highly inspiring address by the Director, Dr. J.K Goyal concluded the orientation session. 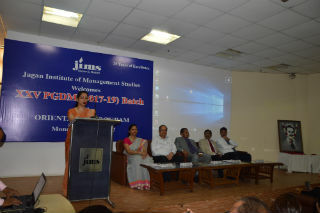 He urged the students to make the best use of the two years of the PGDM program and learn a lot in order to develop skills and personality of a global manager. The session was followed by an elaborate tea and snack break. After a bellyful feasting, the students headed for the much awaited workshop - Team work makes the dream work. 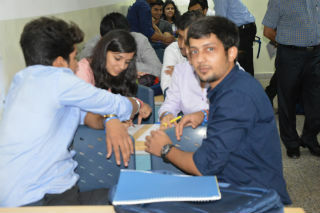 The workshop was conducted by senior students under the guidance of two professors. Four interesting activities broke the ice among the newly admitted students who gradually made new acquaintances and friends. The highs and lows of working in a team were experienced by the students. The session not only opened the students to their peer group but also to their new environment. The well designed and executed session was well received by all the new students who appeared confident at the end of the day, ready to take up new challenges.